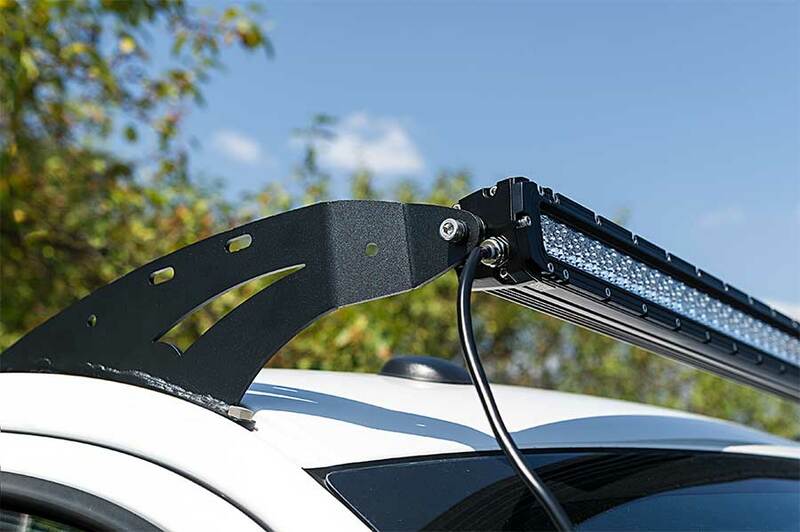 These durable 50" light bar mounts let you easily install an off-road LED light bar on the roof of your 2004-2014 F-150 pickup truck. 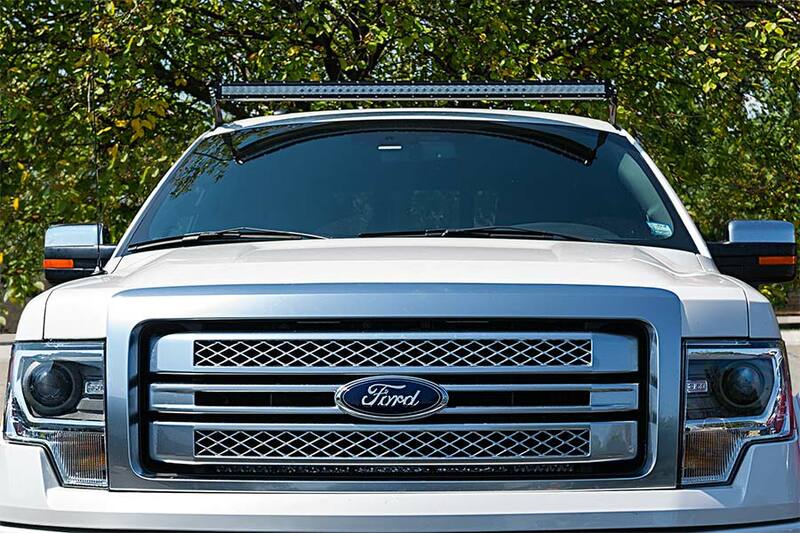 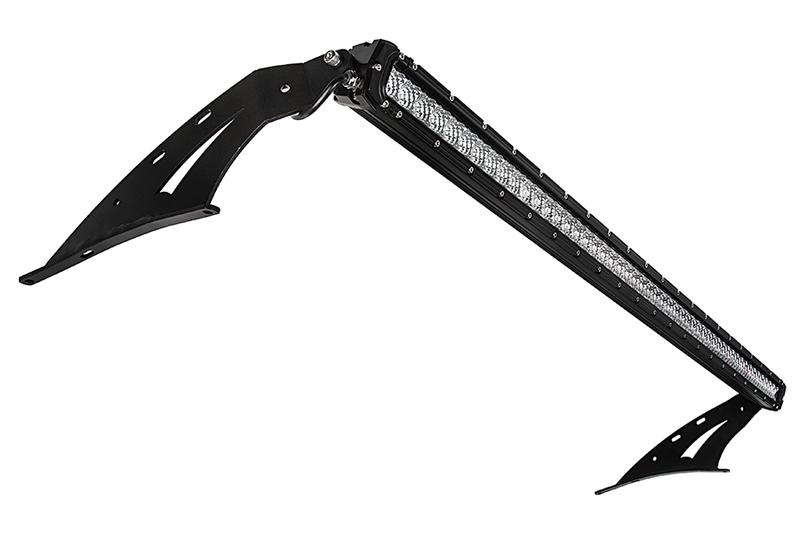 The aerodynamic F150 light bar mounts are designed to slip through the air while holding your 50” straight single-row LED light bar above the top of your truck’s windshield. 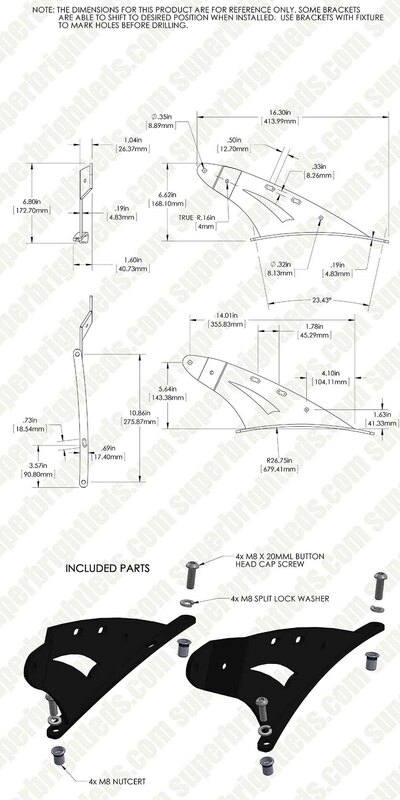 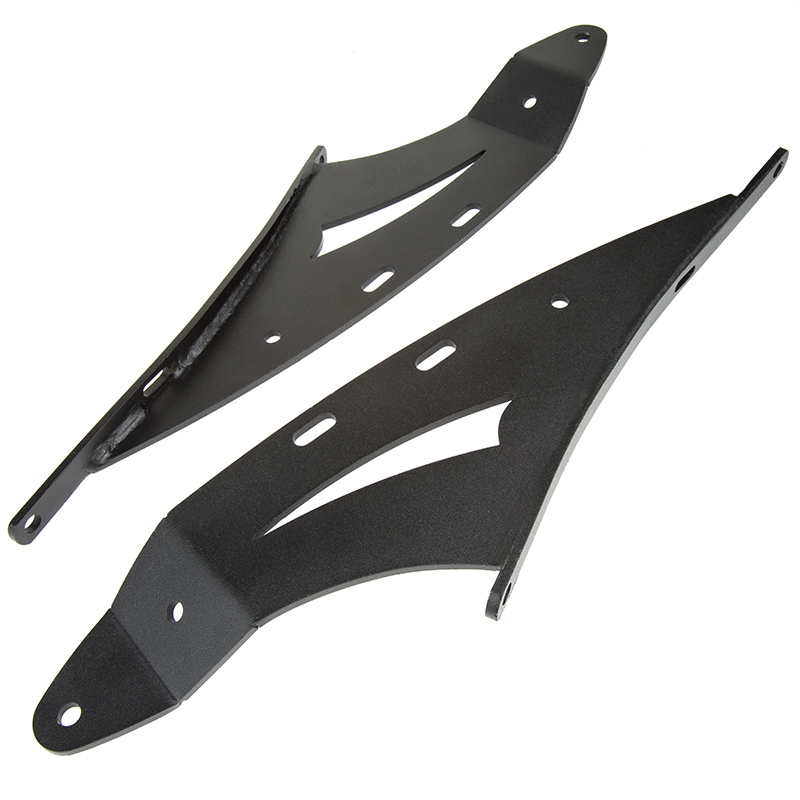 Sturdy powder coated steel mounts are rust resistant and require bolt-on installation.